Take any big city and you will find projects, approved or waiting for approval, that have their fair share of NIMBY naysayers. These NIMBYs accuse developers and city officials of bringing high density and traffic where none is wanted (by them, that is). They then claim victory when a project is defeated, or in many cases, downsized to what they feel is more appropriate. But in reality, they are hurting those around them. They either don’t understand that it is their very opposition and successes that result in an ever increasing cost of housing, or the opposite: they do understand and they oppose only to keep their neighborhoods the same at the benefit of only themselves; leaving outsiders and newcomers to fend for housing in other neighborhoods. If at this stage, you don’t believe me, that’s fine. The point here is that higher density and, in many cases, taller buildings help to lower the cost of housing. From an economic perspective, this has been viewed time and again – that widespread upzoning in already built-out cities can reduce the cost of housing (GlaeserGyourko 2002). But from a developer’s perspective, this is also true on the individual project level. A developer makes money off a building based on how much income they receive from rent (or purchases) of units. While this may seem simple and ripe opportunity for price gouging, it is, in all reality, far more complicated. So if you are one of those people who take to the streets when a new residential tower is going to be built in your neighborhood while at the same time bemoaning the cost of housing, I ask you to read along. First, regarding setting the price for housing, a developer can’t really price gouge. Pirce gouging often refers to an act of pricing a commodity higher than what the free market would suggest is the fair market price. It does not apply if the fair market price is, itself, a very high price. For example, if a one-bedroom condo in West Hollywood is selling for $850,000 and the average price for a one-bedroom condo in West Hollywood is $850,000; it is an objectively expensive unit but it is the fair market value for that unit in the local market. Additionally, rental income will always be far lower than the actual cost of development. For example, it’s more likely a developer will receive about $12 million in rental income per year even though he spent about $120 million in developing the project. The income is used as leverage over the course of a 30 year loan from the bank and money from investors to turn into something bigger than $120 million. That’s where the developer makes money. So what does that have to do with the cost of housing? First, let me explain what is called Floor Area Ratio (FAR). Basically, FAR is what determines how much developable land is available on a specific parcel. For example a FAR of 1 on a 50,000 square foot parcel means that a developer can build a building any combination of height that has a total square footage of no more than 50,000 SF. If the FAR is 2, then the building can be 100,000 square feet. These can take different manifestations. For an FAR of 1, the building could be 2 floors with each floor being 25,000 square feet. The same building could be 4 floors with the FAR of 2. And so on. The FAR is really what determines the initial height of the building before a developer must take into account height restrictions. But for simplicity’s sake, I will avoid height restrictions in the following example. There is this assumption out there that developers are purposely setting the cost of housing high so that they can take in as much profit as they can (remember price gouging?). But this is not true. Not only does the market set the cost of housing, cost of development does as well. To understand why, you need to understand the basic premise of what it costs to actually build a residential tower. Development costs include the hard costs that you easily think of, such as the cost of land and the cost of construction. But it also includes soft costs, such as the costs of architects, salaries, and regulations. All these contribute to the overall cost of development, and they add up to millions. This cost is then spread out over what will become the cost of the unit, either in purchase price or rent. Let’s try a very simple back-of-the-envelope proforma. To begin, let’s assume a developer has purchased a 50,000 square foot plot of land in Downtown Los Angeles for $10 million and that the local zoning laws allow for a FAR of 6. That means that the developer can develop a 300,000 square foot building. Seems simple enough, right? Well, not really. Buildings are more than just units and parcels are more than just FARs. Zoning laws require many things of a parcel, including open space requirements, parking, and setbacks. Thus, of the entire parcel, not all 50,000 square feet of it is developable. For the purposes of this example, I will say 20% of the parcel is set aside to meet these needs, which isn’t an unreasonable assessment. This means that only 40,000 square feet of the parcel is developable. As a result, to get the most out of a 300,000 square foot building (let’s assume a very simple box design), the new project will be 7 floors. And we’re not done there. Of that 300,000 square foot building, not every inch can be turned into rentable space. There are hallways and space between the walls needed for utilities. So let’s say about 15% of the 300,000 square foot building (actually 280,000 SF) is used for this and the new rentable space is 238,000 SF. It’s important to note here that I have not included parking. The reason is it starts to make things more complicated than this example needs to be. But to briefly elaborate on parking; parking costs only ADD to the total cost of development as well as take away from developable and rentable square footage. So just know that adding parking will only increase the total cost of development and rent at the end. Now comes the fun part. Let’s make some rentable units. How big? Well, let’s go with 750 SF units, which isn’t the biggest unit you’ve ever seen, but a nice sized one-bedroom. If all we put in the building were these sized units, then we could fit 315 units in this building. Now we have a very basic building design and layout. To summarize, we have a 50,000 SF plot of land and plans to develop a 7 story, 280,000 SF building with 315 rentable units at 750 SF each. So far, we’ve spent only the cost of land, which is at $10 million. But a project is more than just the land. We need to actually construct the building and that’s definitely not free. The actual cost of development can be a lot more complicated than this example would really allow. So for simplicity’s sake, we will say that the building will cost $150 per square feet to develop. At this price, the entire building will cost $42 million. With the cost of land, the total hard cost for our project is $52 million. Now, let’s estimate soft costs. Those are usually about 35% of the hard costs, so in this case, is $18.2 million. This brings us to a total off $70.2 million. Then we have contingencies. What are contingencies you ask? For those of you who like to protest every new project that comes to your neighborhood, a contingency is there to deal with you. This represents the money to deal with the unforeseen problems that can arise, which does include political pushback that causes delays, but it’s also for more typical delays, such as issues with material or subcontractor disputes. Contingencies are about 5% of the hard and soft costs, which would be $3,510,000. So the grand total of our development project is $73,710,000. For those of you who think that $73,710,000 is the amount that a developer needs to recover in the form of rent, you would be wrong. A development is not simply build and sell. Before building even starts, we need to get the money to build in the first place. Remember, development is a investment type business where no one individual is dropping the full $74 million. We need to go to a bank and get money. In order to do this, we need to come up with where the building can make money to pay back the bank and investors. In our case, we can make money from rental income. But how much rental income do we need? To understand this, you need to understand Capitalization Rate. Capitalization rate (or “cap rate”) is simply the operating income of the asset over the capital cost of the asset. But what is interesting is that the developer doesn’t set the cap rate. The bank does. The lower the cap rate, the better deal the developer is getting. A decent project in today’s market can probably get a 6% cap rate from a bank. So let’s assume that our project is good and we get that 6% cap rate. Now that we know this, how much money do we need to bring in? In order to break even on our project (keep in mind that if all you want to do is break even, you will never get a bank or investors to give you money to begin with), then we need to bring in a net operating income of about $4.5 million. We know this because we know our Cap Rate is 6%. If we take $4,500,000 and divide it by .06, we get $75,000,000, which covers the estimated total development costs (with a very minor profit). I say net because $4.5 million is not the total amount of money that we need to collect in rent. There are other expenses that come in, such as management fees, insurance, and taxes. For simplicity’s sake (again), expenses, insurance, vacancy rate, and taxes are at $350/month per unit, $400/unit, 5% of residential income, and 1.15% of total development costs respectively. See the chart below. BUT! Before we can figure out all of our expenses, we need to play around with the rent. This is because things like the vacancy rate and fees are based off the residential income from the rent. So, in essence, we can’t figure out what our total expenses are until we figure out what our income is. All we know is that we need the residential income minus the total operating expenses to equal or be greater than $4.5 million. There are some ways to do this but, again, to keep things simple, I’ve done the work for you. To bring us to that break-even point, we will need a rent of about $1,950 a month per unit, which translates into a income of $7,371,000. So for our example, we have a 7 story building with 315, one-bedroom units that we need to rent out for $1,950 a month. To rent out for any less would mean we are actually losing money. Or in other words, it would be a failed project and one we would not want to build to begin with. So if you think that rent is too high, then hopefully by now, you start to see that its not high because the developer is choosing to make it high. For those of you who complain about the cost of housing in Los Angeles, or any other city, while at the same time fight tooth and nail to stop those big evil developers and their really tall buildings; let’s look at this example again. Instead, let’s double the FAR to 12 instead of 6. Yes, let’s make a taller building. Building increases from 7 floors to 15 floors. Rentable space increases from 238,000 SF to 510,000 SF. Number of units increases from 315 to 680 units. Necessary net income to break even is about $9.5 million, which means a necessary residential income of about $12.6 million. Monthly rent for each unit DECREASES from $1,950/month to $1,550/month. Now this is a far more doable rent. I’m not going to spend several paragraphs going over the numbers again, but if you want to double check, use the numbers from the first example and simply replace them with the new numbers from a doubled FAR. The ultimate point here after all these numbers is that; in the world of real estate development, the taller the building, the easier it is to achieve a lower rent per unit. What about height limits and affordable housing requirements? There is a reason why high end luxury units and low-income housing are the only two segments of the housing market really going on right now in big cities. This is because a lot of regulation and opposition to tall buildings requires developers to find new ways of achieving the same Net Operating Income for smaller buildings on the same lots. Very low-income housing is seeing a push in some areas because of the large number of funding and financing opportunities there are for developers to build these projects. This helps bring down the cost of development and, thus, the necessary NOI. As for high-end luxury, this is because of regulation and community opposition (in the form of additional regulation). If we artificially cap a building and prevent it from utilizing its total FAR, we are actually increasing the cost of developing each unit, thus increasing the necessary NOI. When the NOI get too high, the developer switches to the appropriate comps, which would be from more affordable middle-income units to high-end. This switch is easy because they are more likely to sell a $3,000/month one bedroom apartment to someone looking for a higher-end apartment than the average you or me. But in order for that high-income individual to pay for it, they want all the perks. Hence the proliferation of “luxury developments”. Heights are not a whim. Hopefully by now, you understand where that rental number comes from. 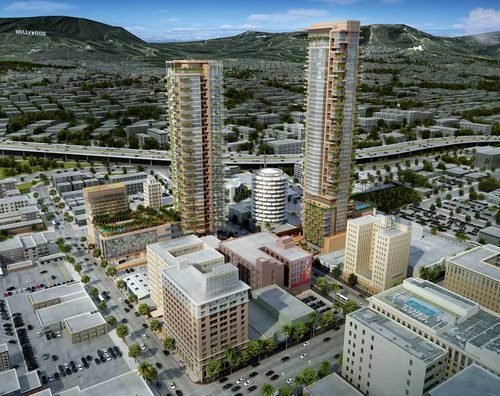 The next time a new development project and its heights are higher than you would be comfortable with in your neighborhood, don’t automatically assume that decided to go that high on a whim or an attempt to destroy life as we know it. That height most likely reflects the necessary height to achieve a certain number of units at a certain rent in order to cover their costs and provide the necessary return to investors – the very people who help make the project possible to begin with. Further, building FAR has a clear direct affect on the cost of housing, and allowing a building to go higher can have a direct affect on the rent we all pay. Remember, the more you allow a developer to offer a lower rent (to compete with neighboring properties), the more you drag down the cost of housing overall. This is because other properties will need to lower their prices to remain competitive for comparable units, thus dragging down the cost of housing. So before you scream “Manhattanization” at your next community meeting, remember where the developer is coming from. Take the time to think about the project. You can still dislike it in the end and you can even successfully defeat the project if you want. But don’t pretend the next guy is going to propose something dramatically less for the same property, or come to the next meeting and complain about rent. You can’t have your cake and eat it too. This is the 5th post in the series: Planning Confidential: Everything you thought about planning is true. Click the link for an index of other Planning Confidential posts. Roobs is an urban planner in Los Angeles. He received his Master’s in Urban & Regional Planning from UCLA with concentrations in Urban Design and Transportation. He received his Bachelors from UC Berkeley in Legal Studies and Sociology. This entry was posted on August 2, 2013 at 1:37 pm	and is filed under Planning Confidential. You can follow any responses to this entry through the RSS 2.0 feed. You can leave a response, or trackback from your own site.